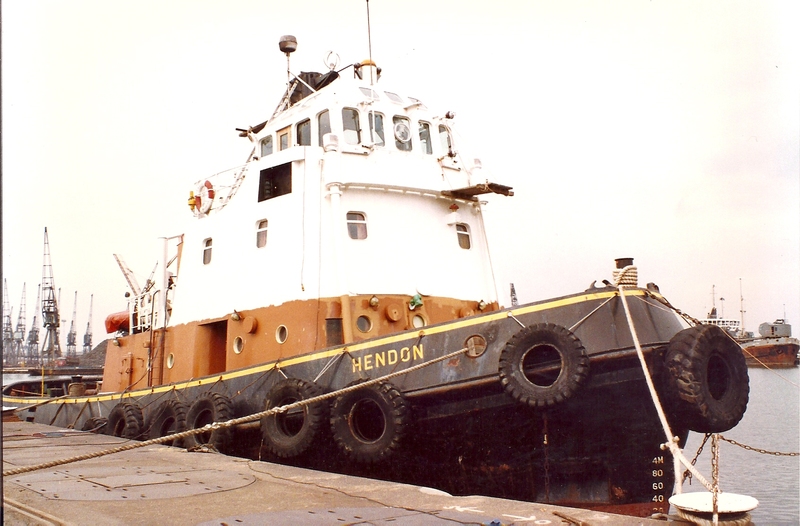 Two views of the tug HENDON. 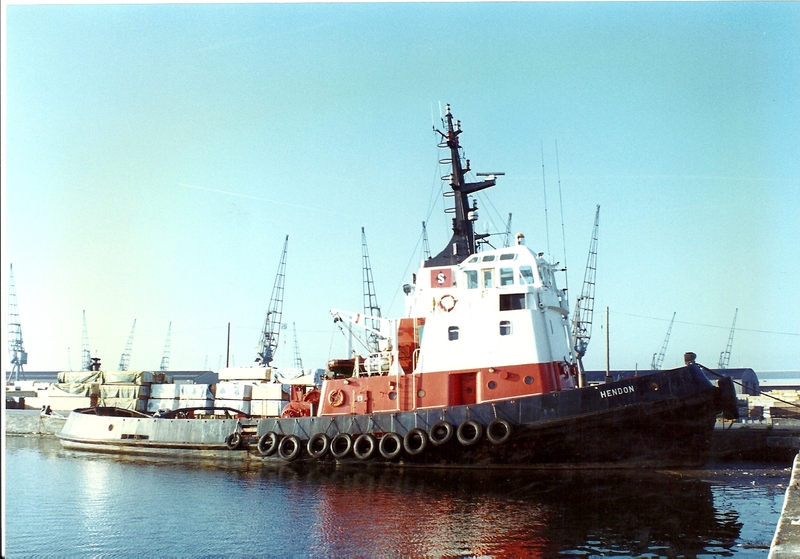 The first when she arrived in Tilbury. 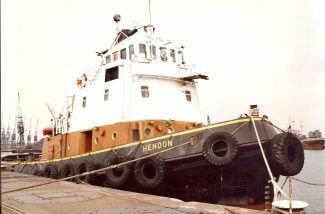 The second after a paint job for Howard Smith Tugs.